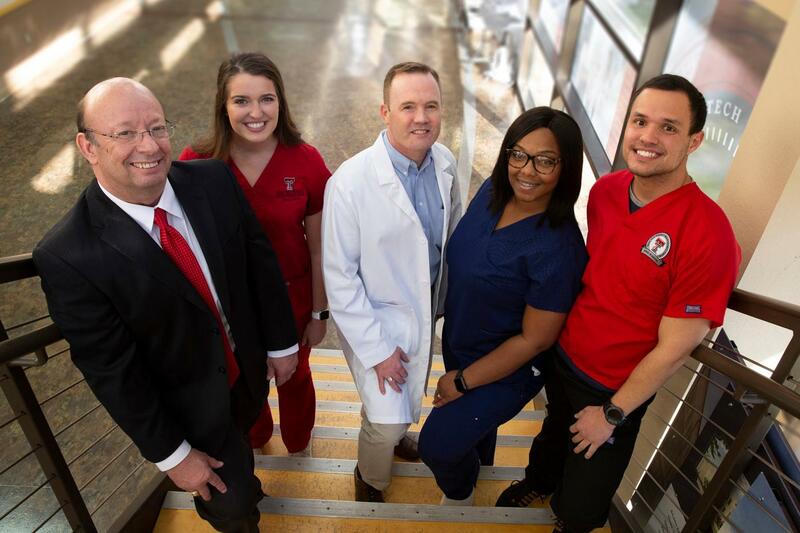 At TTUHSC you'll enjoy a truly comprehensive curriculum that gives you a broad nursing foundation and the ability to specialize in one of a variety of nursing disciplines. A growing nursing shortage. An aging population. Chronic disease and risk factors. We know the challenges and TTUHSC nurses are meeting them head-on in the most critical areas of need. From your faculty to fellow students - in the classroom, the clinical setting or the online course - you'll be part of a community of like-minded professionals who are passionate about patient care and driven to help one another succeed. Welcome to the School of Nursing at TTUHSC! As the only nursing school in West Texas to offer bachelor's, master's and doctoral education in a variety of learning formats, we consider it our mission to address the critical nursing shortage in West Texas and across our nation. Channel your passion for helping and serving others into a mission-driven career in nursing. We offer programs at every degree level across a variety of nursing disciplines, many with online or distance options. Browse all programs or use the dropdowns to go straight to your program of interest. The mission of the Larry Combest Community Health & Wellness Center is to provide access to comprehensive health services to those in need, to reduce or eliminate health disparities among high risk populations, and to integratestudent clinical experiences and faculty practice in effective delivery of health care services. The numerous organizations, the interprofessional collaboration between all health care students and the knowledgeable and experienced professors have given me the opportunity to grow to be the best nurse I can be. I chose to pursue my MSN at TTUHSC because of the flexibility of the online program. The School of Nursing has a passionate and dedicated group of faculty who both challenge and support their students. When I graduated from TTUHSC School of Nursing I felt well prepared to take my nursing boards and assume the R.N. role. The clinical experience that I received as well as the teacher’s input helped make me the nurse I am today. Interested in starting your journey in the School of Nursing? Learn more about the admissions process, speak with one of our Dean's Ambassadors or visit one of our campuses. The National League for Nursing has selected the TTUHSC School of Nursing as a Center of Excellence in Nursing Education. The baccalaureate degree program, master's degree program in nursing, Doctor of Nursing Practice program and post-graduate APRN certificate program at Texas Tech University Health Sciences Center are accredited by the Commission on Collegiate Nursing Education (http://www.ccneaccreditation.org). Critical Conversations: Can We talk?